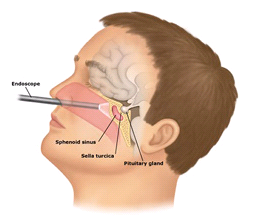 A mass that arises from the pituitary gland is called a pituitary adenoma. It is usually benign. It is classified based on the size of the mass and the type of cells that predominate in the tumor. 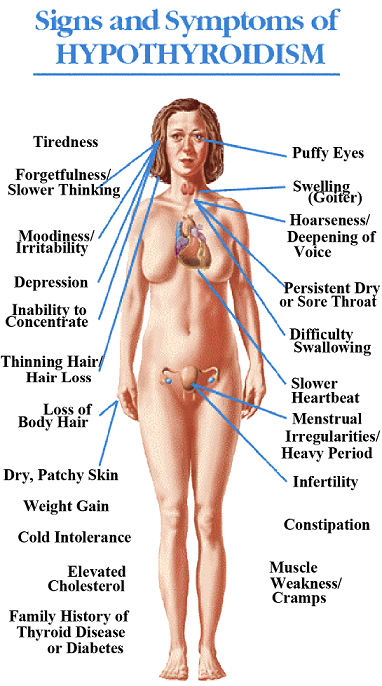 These tumors can be functioning or nonfunctioning. Their function is based on the type of cells that comprise them. Tumors that are less than 10 mm in size are called pituitary microadenoma while those that are more than 10 mm are called pituitary macroadenoma. A pituitary microadenoma does not usually cause symptoms because they are small and they do not impinge on the surrounding structures yet. If they are discovered during imaging for another reason, thet are called pituitary incidentaloma. A pituitary macroadenoma, on the other hand, is usually symptomatic either because of the hormones that they secrete which is usually in elevated levels, or because they already compress on the surrounding structures. There are five distinct hormone-secreting cell types present in the mature anterior pituitary gland. These are corticotrophs, somatotrophs, thryrotrophs, gonadotrophs, and lactrotrophs 1. Corticotrophs secrete the hormone ACTH (corticotrophin) that stimulates the adrenal gland to produce adrenal steroids. Somatotrophs secrete growth hormone (somatotropin) which is responsible in mediating growth and metabolic function. Thyrotrophs secrete thyroid stimulating hormone (thyrotropin) which regulates the production of thyroid hormones by the thyroid gland. Gonadotrophs express both follicle-stimulating hormone and luteinizing hormone which are essential for gonadal function. Lactotrophs secrete prolactin which is required for mammary development and milk production during pregnancy and lactation. It is essential to distinguish a pituitary adenoma from other parasellar masses because the management is different. About 90% of observed pituitary lesions represent pituitary adenomas, hence, initial assessment should comprise of determining whether the mass is hormonally functional or whether it will cause local mass effect. The onset of clinical features associated with disordered hormone secretion is insidious and may not be noticed by the patient, hence, laboratory tests to assess endocrine function should always be done 1. These include checking for the serum levels of IGF-1, prolactin, ACTH, serum cortisol, luteinizing hormone, follicle-stimulating hormone, thyroid-stimulating hormone and free thyroid hormones. Dynamic testing could also be done to exclude or confirm abnormalities in baseline laboratories. The goals of management for pituitary masses are to alleviate local compressive mass effects and to relieve the patient from hormonal imbalance caused by hypersecretion or hyposecretion resulting from the tumor. 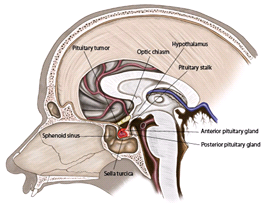 Prolactinomas are the most frequent functioning pituitary adenoma. It is very important to exclude such condition before surgical options are considered because this type of tumors can be managed medically. Prolactinomas are more common in females with a female to male ratio of 20:1. However, men usually harbor larger tumors. The management of prolactinomas also depends on the size of the tumor and if they are already symptomatic or large enough to cause compression of the surrounding structures during diagnosis. A single measurement of serum prolactin level that is above the upper limit of normal usually is confirmatory of a diagnosis of prolactinoma and dynamic testing is usually not necessary 2. However, other factors that might cause elevation of prolactin levels should be ruled out as well. In a patient with confirmed prolactinoma, the first line of treatment is dopamine agonist. There are two dopamine agonists that are approved in the market- cabergoline and bromocriptine. However, some patients do not tolerate the side effects of these medications or do not respond to maximal doses of these medications. For these patients, pituitary surgery and radiotherapy can be considered but with consideration of safety profile and prognosis. Most other pituitary adenomas are non-functioning, that is, they do not secrete a specific hormone that would cause hormonal abnormalities in patients. In these patients, the mass are usually evaluated if local compressive effects are apparent. If they are small enough and they do not cause compressive mass effects, they are left untouched, with just serial monitoring of their growth and hormone levels of the patients, as necessary. On the other hand, if the pituitary adenomas are large enough causing symptoms and compressive mass effect on the surrounding tissues, surgery is indicated. Transphenoidal resection of a pituitary tumor is usually the procedure of choice as it is less invasive compared to an open-brain surgery, with less complications and faster patient recovery. However, complications could still happen and these include hypopituitarism, CSF leak, diabetes insipidus and local infection. 1. Melmed, et.al. Pituitary physiology and diagnostic evaluation. Williams Textbook of Endocrinology. 12th edition. 2011. Pages 175-218. 2. Diagnosis & Treatment of Hyperprolactinemia: An Endocrine Society Clinical Practice Guideline. 2011. pages 1-17.